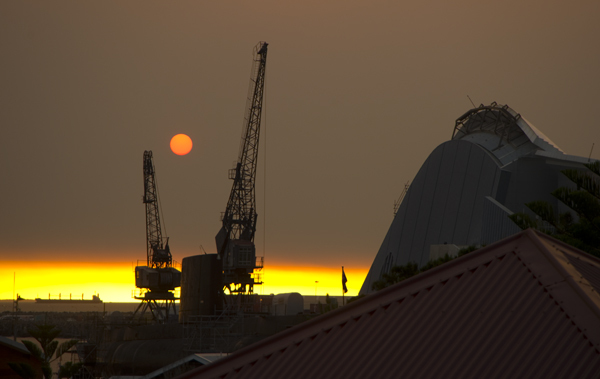 Air pollution often creates stunning visual scenery and today was one of those days in Fremantle. 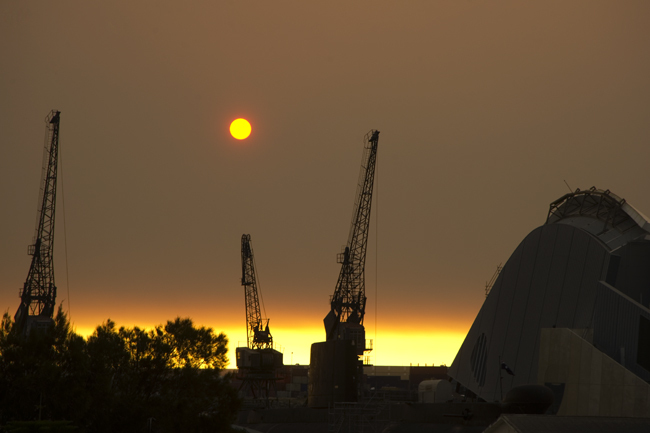 Controlled bush burning caused smog all over Perth and created this stunning red sun just before sunset. I would like to dedicate these photos to Wendy who stood next to me at the gun deck of the Round House with her two little dogs and told me she and her husband very much like reading my blog. BAKE IN THE KITCHEN, NOT ON THE BEACH! The Refusing to Bake – Sale in front of Kidogo Arthouse on Fremantle Bathers Beach is a Christmas arts market that is designed to generate opportunities for local artists and designers to present and sell their work, whilst raising awareness for sun safe behaviour. Stall holders will be setting up and preparing their stalls for fun and safety in the sun! Come and join in on Sunday 7th December from 10am – 4pm. Over 20 stalls will range with a variety of goods from ceramic jewellery, to lanterns and sun safe beachwear. Their will be face painting for the kids, food and drinks vendors and local creative acts will be performing through out the day around the theme ‘fun and safety in the sun’. Amongst those will be the upcoming project group ‘Busker get’s a gig’, dance performances and the head lining Fremantle based drummers group Wasamba. Sounds like a lot of fun to do before heading of to George Street for the festival there. Comments Off on BAKE IN THE KITCHEN, NOT ON THE BEACH!